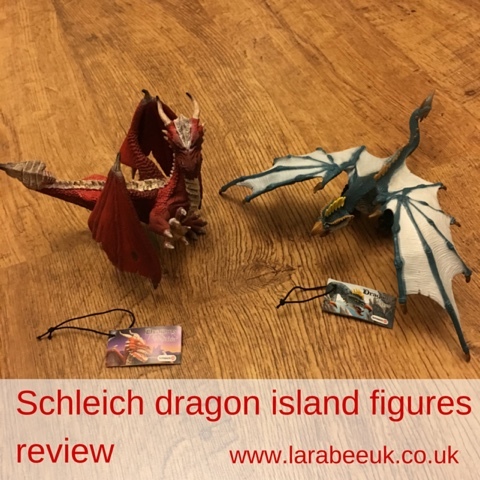 We like a good small world play and what's better than playing knights and dragons with beautifully crafted figures from schleich. We have a few items from the range and I love them for their high quality and durability. 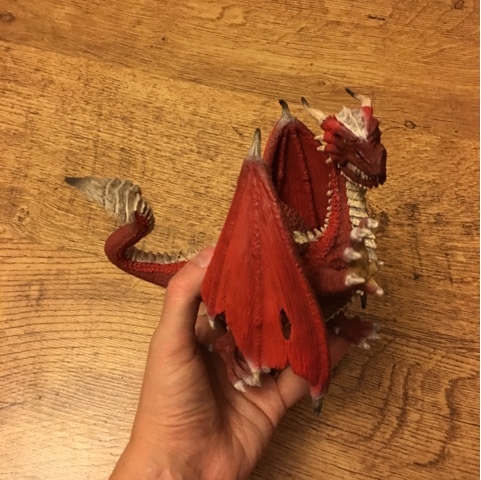 We were recently sent the Dragon warrior and dragon flyer from the Eldrador range for review. I love that along with a vast number of various figures, the website also details the 'story' which you can incorporate into your play should you wish to. The website not only lists all of the character figures but also activities such as a magazine and colouring sheets to accompany your child's play. The gorgeous figures are a really good size perfect for smaller hands or older children alike. I personally think they are fantastic value for such high quality toys, which would look fantastic on display! 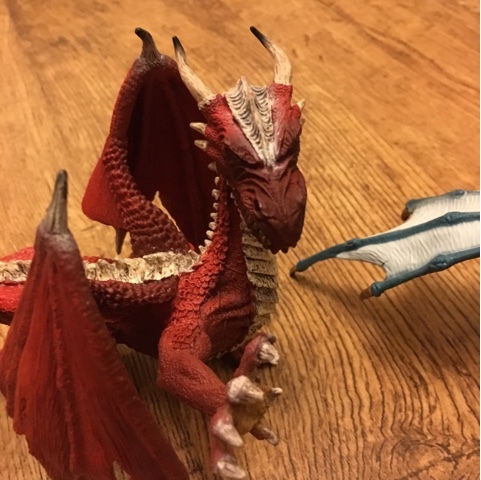 There are so many possibilities with these figures from creating your own stories and incorporating your existing toys, to reading the story online and re-enacting that. Personally, I cannot wait for some St George and the dragon play with the beautiful and powerful warrior figure! 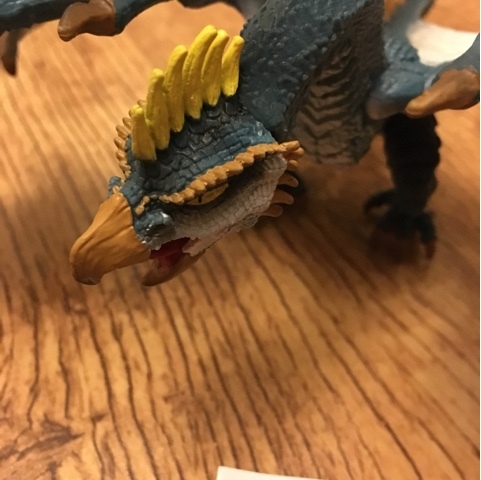 Disclaimer: we were sent these toys in exchange for this honest review. All words and opinions are my own.